One important aspect to a successful application deployment is to pick proper IaaS services. With a diverse set of offerings, it’s easy to get lost in the cloud. Investing time upfront to properly design the application saves money but also prevents growth problems later. While enabling you to cope with rapidly rising demand, a well designed application keeps your most precious assets – your time – focused on adding value instead of dealing with infrastructure services. 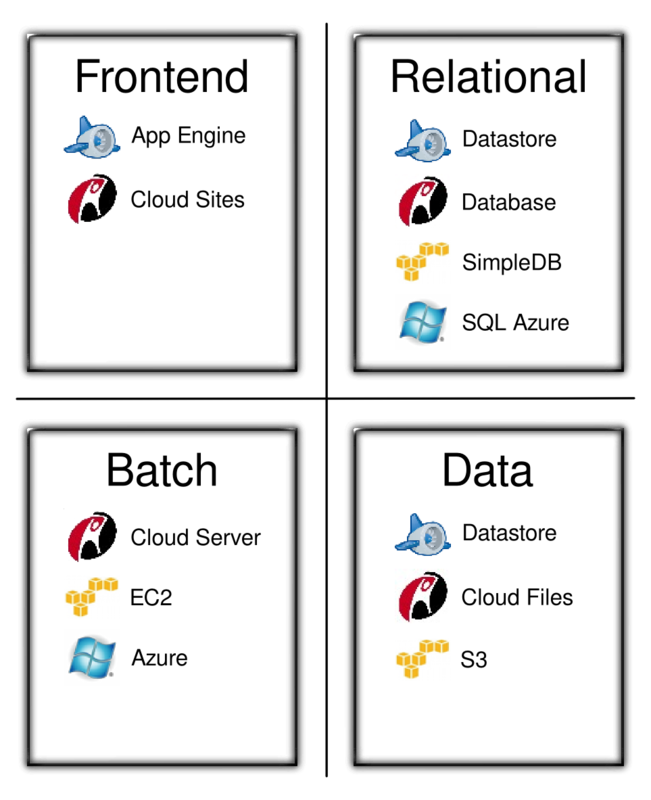 To help guide the design of applications, we divide IaaS offerings into four categories: elastic front-end, batch processing, relational storage and data storage. The Cloud Architecture Overview illustration shows several example services for each of them. The next article adapts the Lean Startup principles to application architecture.